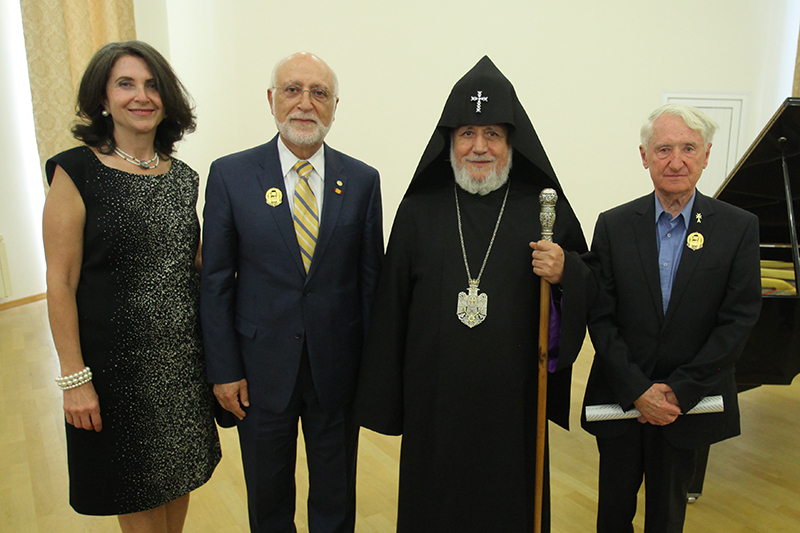 YEREVAN, Armenia – On September 15, His Holiness Karekin II, Supreme Patriarch and Catholicos of All Armenians, presided over an awards ceremony, which took place in the Mother See of Holy Etchmiadzin Gevorgyan Seminary Hall. 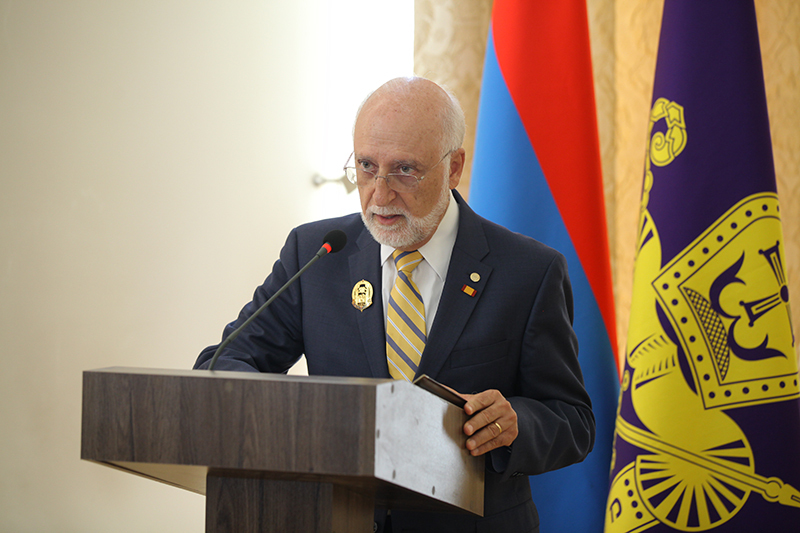 During this ceremony, American University of Armenia (AUA) President Dr. Armen Der Kiureghian was presented with the St. Sahak-St. Mesrop Medal. 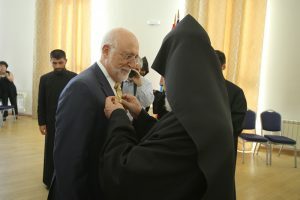 The Order of Sts. Sahak and Mesrop is one of the church’s highest honors, reserved for individuals who have made outstanding contributions in the fields of scholarship, education, culture, and service. 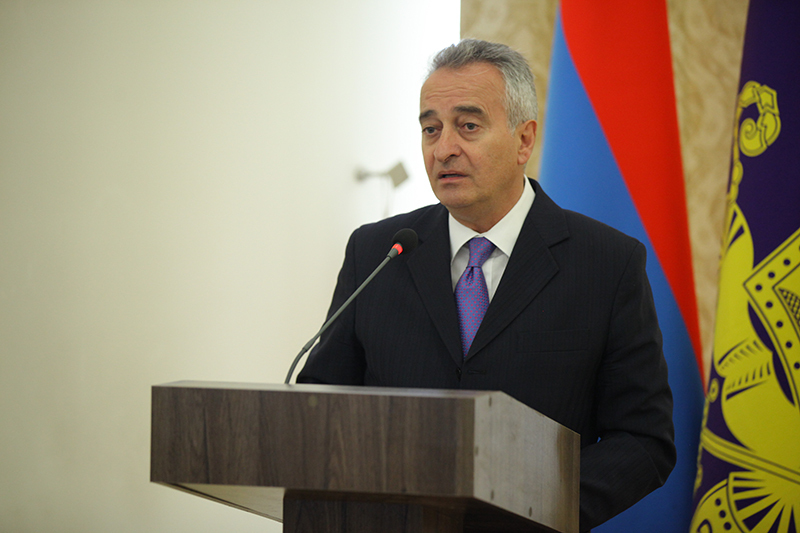 The AUA Community joins in congratulating Dr. Armen Der Kiureghian on this high honor and wishes him many years of fruitful accomplishments. 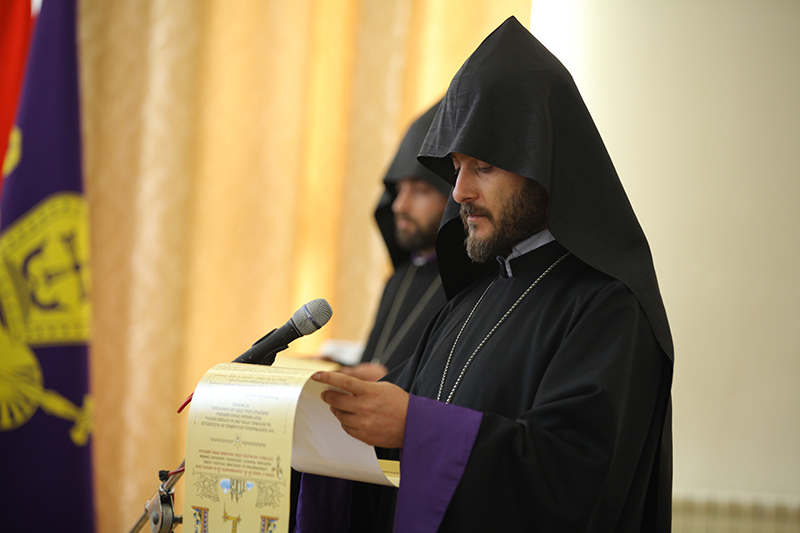 To read the full press release in Armenian, click here.